Over the past four decades, a rapidly growing specialty area of psychology has been that of psychologists working within the realm of law enforcement. Police psychologists are involved in the selection of employees; fitness-for-duty evaluations; various therapeutic programs, both individual and group; the evaluation, treatment, and referral of substance abuse, domestic violence, and gambling; the development and facilitation of various training initiatives; and research and consultation. On a more operational level, police psychologists respond to crisis situations including officer-involved shootings, significant traumatic events, suicide interventions, and crisis and hostage negotiations. A functional dichotomy within police psychology is that of actual primary roles for the psychologist. Major metropolitan police departments will most likely employ multiple staff police psychologists. Generally speaking, the in-house staff psychologist is involved in day-to-day undertakings within the department, thereby compelling an immersion of his or her professional activities directly within the police environment. This constant exposure to the police culture allows for a more rapid and complete acceptance by departmental police officers, civilian support staff, and the senior-level command staff. Typically, the staff psychologist acquires confidence and, most important, trust and credibility as a member of the department. Although not often discussed, power, hence professional influence, is of utmost significance for the in-house staff psychologist. Power in this context is operationalized as the individual psychologist’s ability to professionally influence administrative and supervisory decisions. Such influence can only be attained via consistent, accurate, and professional consultative recommendations provided by the staff psychologist. Thus, it is imperative that the in-house police psychologist be administratively placed as close to the highest-ranking official in the department, usually the chief/ director or sheriff, as possible. In most large departments, given the sensitivity and confidentiality of some situations (e.g., substance abuse or domestic violence), it is best for the staff psychologist to be placed one rung directly below the chief/director or sheriff in the administrative chain of command. Therefore, the in-house police psychologist is usually administratively assigned the position of an assistant/deputy chief or director. This administrative position potentially provides the staff psychologist with extraordinary positive influence within a police organization. However, the staff psychologist must always be cognizant of this fact and limit his or her activities—both professional and casual—with the senior command staff. For if the rank-and-file officers and civilian support employees perceive the in-house psychologist as being too friendly with upper-echelon supervisors, the overall trust for the staff psychologist will be severely compromised. The resulting outcome will be a significant reduction in departmental employees seeking clinical assistance with the professional staff at the psychological services section. As such, the in-house staff psychologist must always be aware of the potential impact of dual or multiple relationships. A dual or multiple relationship occurs when a psychologist is in a professional role with a person and concurrently is in another role with the same person or when a psychologist is in a relationship with a person closely associated with, or related to, the person with whom the psychologist has the professional relationship. For example, a police psychologist would enter into a multiple relationship if he or she entered into a therapeutic/clinical relationship with the commander of the special response team with whom the staff psychologist regularly consults on tactical operation call-outs. Other advantages for the in-house staff psychologist is the ability to be knowledgeable about the unspoken/ unwritten rules of the department as well as the various rumors within the organization. With this in mind, the staff psychologist is able to develop a network that can quickly ameliorate conflicts and potential opportunities. Another significant advantage for the in-house staff psychologist is the ability to recognize critical training opportunities and rapidly implement appropriate training blocks. A secondary advantage to the rapid implementation of departmental training is the actual facilitation of the training blocks by the staff psychologist and his or her staff. The facilitation of the didactic block provides the opportunity for the staff psychologist and his or her staff to interact within the safety of the training environment. Often, departmental employees will initiate the scheduling of therapy on meeting the staff psychologist during the training experience. Other primary responsibilities of the in-house staff psychologist include the provision of direct clinical intervention—usually, short-term therapy, substance abuse intervention, clinical referral, training and consultation, and crisis and hostage negotiation training and consultation. Most likely, the in-house staff psychologist is on call 24 hours a day, 7 days a week for crisis response, including officer-involved shootings and other crises, such as suicide and domestic violence. The latter professional demands of constant on-call responsibilities, including hostage and crisis intervention as well as other posttrauma and critical event responses (e.g., employee trauma and death), compel significant introspection by the psychologist considering the acceptance of the position of internal police psychologist. The constant on-call status itself can be insidiously stressful to the psychologist as well as to his or her family. In addition, it is evident that the vicissitudes of traumatic event response can lead to the dynamic of vicarious traumatization in some police psychologists. Vicarious traumatization occurs as a function of mental healthprofessionals’ consistently intervening in traumatic events. As a result of routinely being exposed to the traumatic sequelae of others, the responding psychologist may develop concomitant symptoms, such as social isolation/withdrawal, sleep and appetitive disorders, burnout, and substance abuse. The other role for psychologists is that of an external consultant, sometimes jocularly referred to as the “out-house” psychologist. The external consultant’s primary responsibility is pre-employment screening, to be discussed in more detail later in this entry. Along with this most demanding responsibility, the external consultant is also responsible for clinical intervention, including crisis intervention, as well as training and consultation. Like the in-house staff psychologist, the external consulting police psychologist should report either directly to the chief/director or sheriff or to the next highest-ranking official in the executive chain of command. Developing a close working relationship with the highest-ranking official in the police chain of command establishes the organizational power and support necessary to effectuate departmental innovations and a more receptive consideration of professional recommendations. The most glaring disadvantage of the external consulting psychologist is that he or she is frequently perceived as an outsider and is never completely trusted by either the command staff or the rank-and-file sworn officers, as well as the civilian support personnel. Psychologists began entering the realm of law enforcement during the 1950s and 1960s, when the concept of vicarious liability and negligent retention began to affect the provision of services by police departments. As such, the first role for the burgeoning field of police psychology was to develop psychometric instruments to predict job suitability of police officer candidates. Over the years, pre-employment testing/screening has become a precondition for hiring in the law enforcement selection process. Along with the early psychological testing, the nascent police psychologists consulting within major city departments were tasked with the development of prototypical employee assistance programs for alcohol abuse treatment. However, in some major departments such as San Francisco, Boston, and New York, there was no concomitant intervention for stress/emotional problems other than those related to alcohol. Consequently, many departments, notably those in Boston, New York City, Chicago, Los Angeles County, and Miami, initiated hybrid employee assistance programs known as “stress programs.” Following the recommendations of the President’s Commission on Law, Law Enforcement and the Administration of Justice (1967), the Los Angeles Police Department hired the first full-time in-house staff psychologist, Martin Reiser, in 1968. Reiser is widely known as the “father of police psychology.” In 1971, Mike Roberts was hired as a consulting clinical psychologist for the San Jose Police Department, and so began the dichotomy of the provision of psychological services to law enforcement personnel. Reiser provided services on both a voluntary and a mandatory basis, while Roberts provided therapy solely on a voluntary basis and referred to an external consultant any counseling or testing for which an officer or employee of the department was involuntarily mandated. Today, most mental health professionals agree that voluntary referral is preferable to mandatory referral in that the latter usually raises practical as well as ethical issues and conflicts. In organizations that use mandatory referrals (ostensibly, fitness-for-duty evaluations), external consultants are contracted to provide the clinical services. In 1973, Harvey Schlossberg became the first policeman to earn a doctoral degree in clinical psychology and become a departmental police psychologist for the New York City Police Department. Later that year, he assisted in successfully negotiating the release of hostages in the “Williamsburg Siege.” Soon thereafter, under Schlossberg’s direction, the New York City Police Department established the country’s first hostage negotiation unit. Today, almost every major department and midsize local municipal agency uses a fully operational tactical and negotiator team with access to either full- or part-time mental health professionals for consultation. As can be seen, police psychology has evolved into a recognized and robust specialty area within psychology. 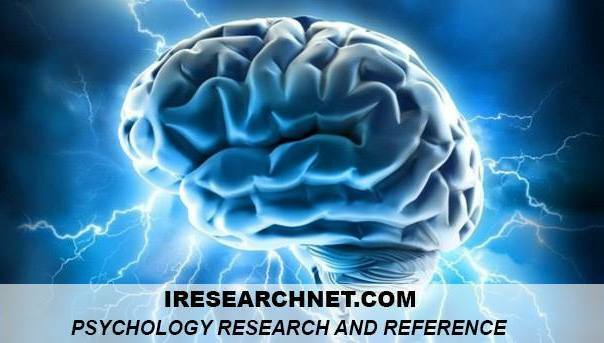 A contributing factor in the growing popularity and success of police psychology is the willingness of police psychology practitioners to remain actively involved in the dissemination of information through journals, books, and other publications. It should first be noted, however, that the Behavioral Sciences Unit of the Federal Bureau of Investigation (FBI) was instrumental in providing the forum for police psychologists from around the United States to meet and present papers germane to this new field of psychological application. A further energizing force is the networking dynamics of two relatively new professional organizations within the field of police psychology. During the FBI national conferences of 1977 and 1984, these pioneer police psychologists set in motion the establishment of two professional organizations, the Police and Public Safety Psychology Section of Division 18 of the American Psychological Association (APA) (1983) and the Police Psychological Services of the International Association of Chiefs of Police (IACP) (1986). Some of the more significant applications of this specialty area are discussed in the following sections. Pre-employment selection has been the earliest known usage of psychology in law enforcement. Recent research has concluded that police recruitment selection procedures vary greatly, that there is no standard assessment process, and that there is an extensive variety of test battery composition. In an attempt to provide specific standards and constraints for a process with wide variance, both the Police and Public Safety Psychology Section of Division 18 of the APA and the Police Psychological Services section of the IACP proposed and ratified, via membership vote, a set of guidelines for pre-employment psychological evaluation. These guidelines established that only licensed or certified psychologists trained and experienced in psychological test interpretation and law enforce-ment psychological assessment techniques should conduct psychological screening for police agencies. Furthermore, police psychologists must adhere to the ethical principles and standards of the APA and all state and federal laws, including the Americans with Disabilities Act. The test battery must include objective, job-related, validated psychological instruments, including a cognitive test. Every test battery must also include an individual face-to-face, semistructured interview. Along with pre-employment screening for police candidates, the external police consultant often has the task of facilitating mandatory fitness-for-duty evaluations (FFDE). According to the IACP (Psychological Fitness-For-Duty Evaluation Guidelines, 2004), a psychological FFDE is a formal, specialized examination of an incumbent employee (typically a sworn police officer) that results from objective evidence that the employee may be unable to safely or effectively perform a defined job task and/or a reasonable basis for believing that this may be attributable to psychological factors. The central purpose of an FFDE is to determine whether the employee is psychologically fit to safely and effectively carry out essential job tasks and responsibilities. At a minimum, the evaluator should be a licensed psychologist or psychiatrist with training and experience in psychological assessment, especially in the evaluation of law enforcement personnel. The police psychologist evaluator provides recommendations to the referring department. The department is responsible for the ultimate determination of the disposition of the employee. The more typical responsibility, especially for the in-house staff psychologist, is the provision of clinical intervention and responses. Interestingly, in major metropolitan police departments, crisis responses— such as officer-involved shootings, severe vehicular accidents, major injuries and deaths, suicide attempts and completions, and SWAT (special weapons and tactics) callouts—are quite common, occurring on average once per week. Critical incidents within the law enforcement community are conceptualized as traumatic events. Thus, the event is conceptualized as the officer’s having experienced an event significantly outside the range of typical human experience, such that his or her responses are typical reactions to the abnormal event. The most frequently occurring psychological sequelae following a critical incident within law enforcement (especially if the police officer has the thought, “I’m going to die”) are social isolation/withdrawal, sleep disturbances, flashbacks, depression and anxiety, a heightened sense of danger, hypervigilance, and increased alcohol/substance abuse. Concurrent with crisis response capability, the staff psychologist is actively involved in providing stress inoculation training at the department’s training bureau. Stress inoculation training has been found to be successful in empowering police officers to prevent, or at least lessen, the psychological impact of stress within the responsibilities of police responses. The more typical psychological interventions police psychologists routinely undertake are individual, marital, and family counseling. The most frequent presenting issues for individual therapy are stress/ anxiety, depression, substance abuse, domestic violence, and, more recently, compulsive gambling. The affective disorders and marital and family interventions are triaged by the staff psychologist to other licensed mental health staff members of the psychological services section. These mental health professionals are then tasked with providing confidential intervention, usually on a short-term basis of 8 to 12 weeks of therapy. All substance abuse, domestic violence, and compulsive gambling cases are assigned to specific members of the section who have experience in the assessment, treatment, and referral (if clinically necessary) of these more complicated and long-term issues. Many departments have developed peer-support aftercare groups for long-term maintenance and groups for substance abuse and gambling cases. A final matter of profound significance for the police psychologist’s unwavering attention is police suicide. Some experts in police psychology claim that the incidence of suicide among police officers is approaching epidemic proportions. Therefore, it is incumbent on the police psychologist to develop and maintain an effective training and intervention program focused on ameliorating the incidence of police suicide. Many police psychologists have become actively involved in the operational responsibility of assisting law enforcement tactical teams (SWAT teams) in the area of crisis and hostage negotiation. A hostage situation is defined as any situation in which individuals are being held via active coercion by another person or people and demands are being made by the hostage taker(s). Typically, the police psychologist maintains two overlapping roles in the SWAT team. Prior to providing any information or influence within a police tactical operation, the police psychologist must always remain cognizant that he or she is always bound by federal and state legal constraints, as well as by professional and ethical standards. In the role of a professional, the police psychologist provides the general theoretical and practical applications of behavioral science information. In the role of a consultant, the police psychologist designs and implements negotiator selection and training. A second function in the role of a consultant is the provision of specific behavioral recommendations to the operational chain of command. Owing to ethical constraints, other than in a rare exigent situation, the police psychologist never actively speaks with the affected individual. At the time of writing, there are no formal graduate programs specifically for police psychology. It is suggested that psychology students interested in becoming active in this specialty area seek a doctoral degree (Ph.D. or Psy.D.) within the established fields of clinical, counseling, forensic, or industrial/organizational psychology. For those students with a preference for the role of the internal staff psychologist, it is highly recommended that they become experienced in the clinical areas of individual, couples, and marital therapy. Special emphasis should be directed at didactic and experiential training in crisis intervention. Once a psychologist is hired by a police department, crisis and hostage negotiation training is usually extended through a basic, introductory course on crisis and hostage negotiation facilitated by the Behavioral Sciences Unit of the FBI in Quantico, Virginia. Parenthetically, it should be mentioned that the position of psychological profiling is rarely offered as a freestanding occupational position within the law enforcement community. Psychological, criminal profiling is only one job task within the overall occupational realm of the police psychologist. For the doctoral student who endeavors to become an external consulting psychologist, it is clearly recommended that the area of psychological assessment be an educational and experiential imperative. Along with a clear understanding of all aspects of personality assessment, organizational consultation and crisis intervention should also be areas of competency. Some universities are affiliated with police departments for either a predoctoral practicum or predoctoral internship experiences, although such programs are very limited in scope. Regardless of either a practicum or an internship placement, however, it is important for anyone interested in a career in police psychology to become familiar with the dynamics and culture of law enforcement. As such, it is highly recommended that during the doctoral experience, the student actively seek membership in the Psychological Services sections of both the APA and the IACP. Finally, it is suggested that, if possible, the doctoral student seek out an established police psychologist in the vicinity of the campus of doctoral study, in the hope that this police psychologist will agree to provide information regarding the field of police psychology and also to establish a doctoral practicum at his or her professional practice. Ultimately, the goal for the doctoral student would be to develop a mentoring relationship with the police psychologist. Such a relationship would greatly facilitate the attainment of career goals for the doctoral graduate student and would include the actual experience of the practicum placement in police psychology, consistent interaction with a police psychologist to answer various occupational questions and career development issues, and the potential for participation in police psychology research and introduction to other police psychologists by being sponsored to attend local and national police psychology conferences. Allen, S. W. (1986). Suicide and indirect self-destructive behavior. In J. T. Reese & H. A. Goldstein (Eds.). Psychological services for law enforcement (pp. 412—H6). Washington, DC: U.S. Government Press. Allen, S. W. (2001). Suicide prevention training: One department’s response. In D. C. Sheehan & J. I. Warren (Eds. ), Suicide and law enforcement (pp. 9-17). Washington, DC: U.S. Government Press. Blau, T. H. (1994). Psychological services for law enforcement. New York: Wiley. Lord, B. (Ed.). (2004). Suicide by cop: Inducing officers to shoot. Flushing, NY. Looseleaf. McMains, M. J., & Mullins, C. (2000). Crisis negotiations: Managing critical incidents and hostage situations in law enforcement and corrections. Cincinnati, OH. Anderson. Reiser, M. (1982). Police psychology. Los Angeles: LEHI. Return to Police Psychology overview.